I may be the last one standing without mason jar soap dispensers in the bathrooms. Not because I didn’t want them, but due to having scrubs in all the bathrooms I thought maybe it was crazy overkill. There can be too many mason jars in your home…right? 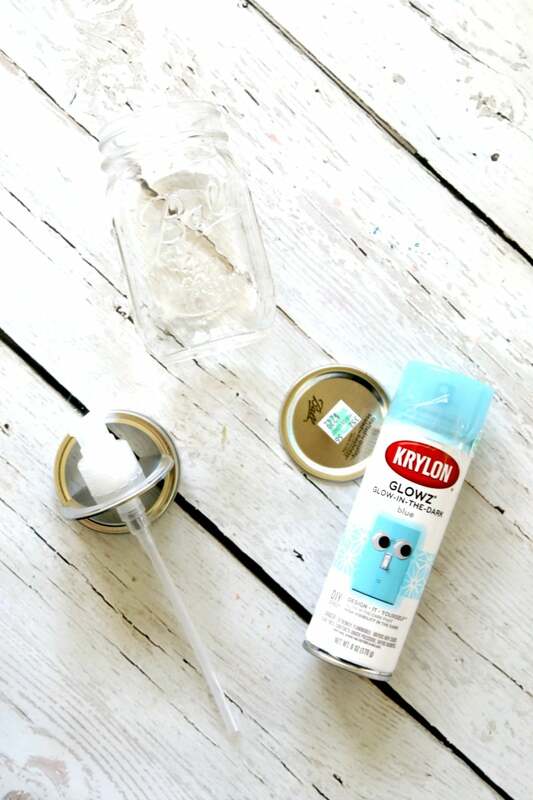 Now making a soap dispenser out of a mason jar is as simple as having the right top. You can find them easily in most craft stores. The assembly takes moments and is sorta a plug n play thing. That being said I wanted to one up this whole concept. The one thing that drives me nuts is when my kids do NOT wash their hands. I swear I spend more time asking them if they washed their hands and sending them back to wash their hands than the original time they spend in the bathroom. But what happens in the middle of the night? When no one is there to ASK? Well, probably they don’t wash their hands. 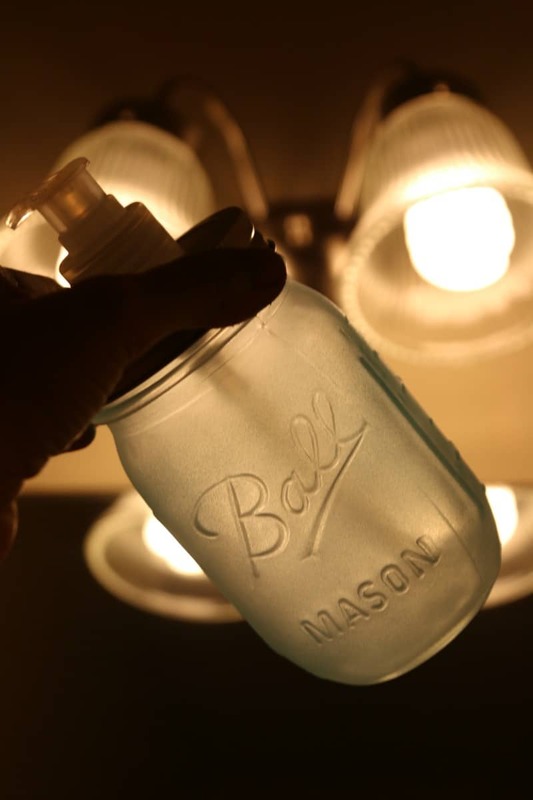 But I’m hoping with this new super cool (heh) mason jar soap dispenser that GLOWS in their bathroom, that I will intrigue them enough to think about it. And that’s a start. 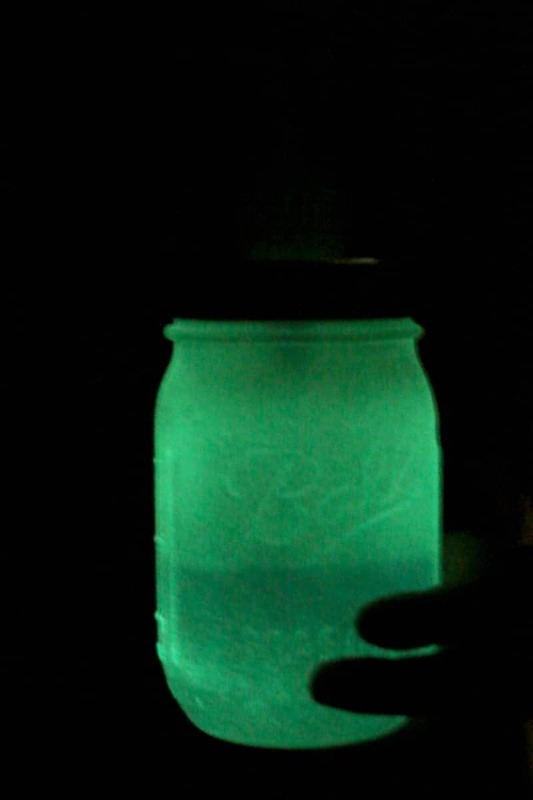 To start, you need to take your mason jar outside and coat slowly and evenly with glow in the dark spray. It doesn’t matter how MUCH you put on it and it doesn’t get super dark. A few coats is more than enough to make it glow. Let dry. Assemble Soap Dispenser pieces and add to dry jar.